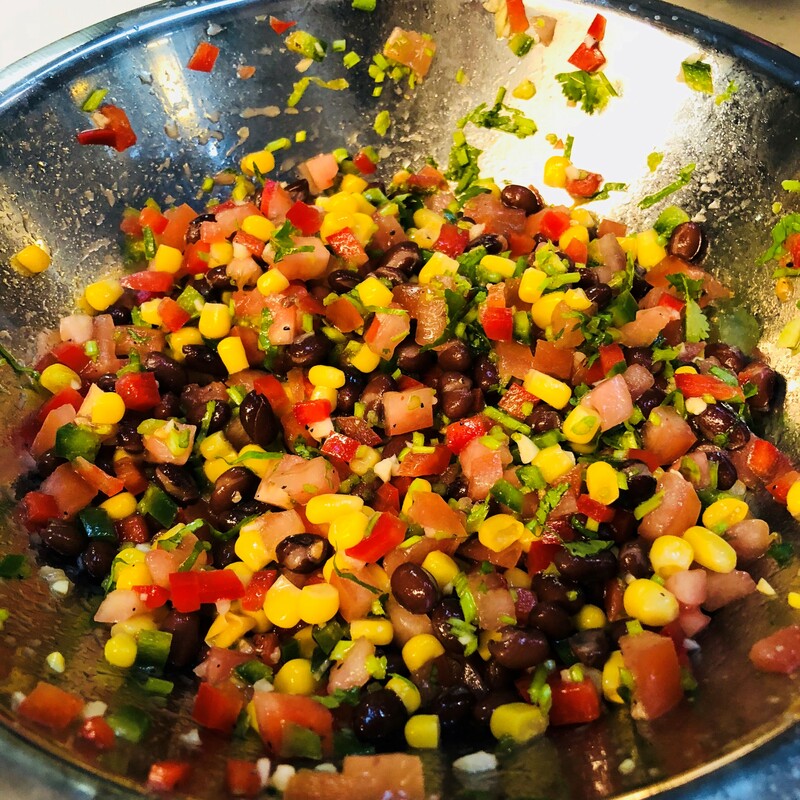 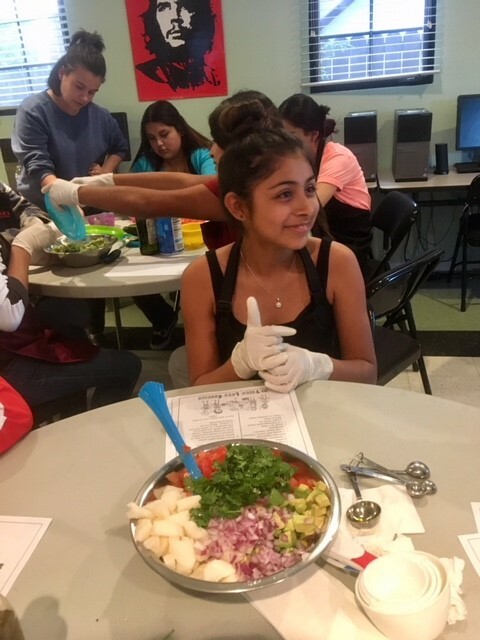 As part of our Children’s Health Initiative, the Teens Love Cooking Program connects with middle school to high school-aged children. 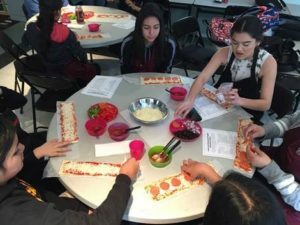 This after-school cooking program teaches real cooking skills over seven sessions run by volunteer chefs and cooks, culminating in a party where the students cook a meal for their families. Teens Love Cooking is a weekly after-school program that provides middle schoolers/teens the opportunity to become competent, independent and kitchen savvy through learning valuable kitchen and cooking skills. 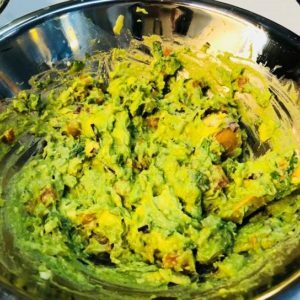 It is designed to improve knowledge of food, nutrition, and food preparation techniques through an integrative nutrition and culinary concept. Teens learn how to prepare and cook with a whole foods approach, understanding where their food comes from, and how to select the most nutritious foods in a country that has an over-abundance of processed and fast food. 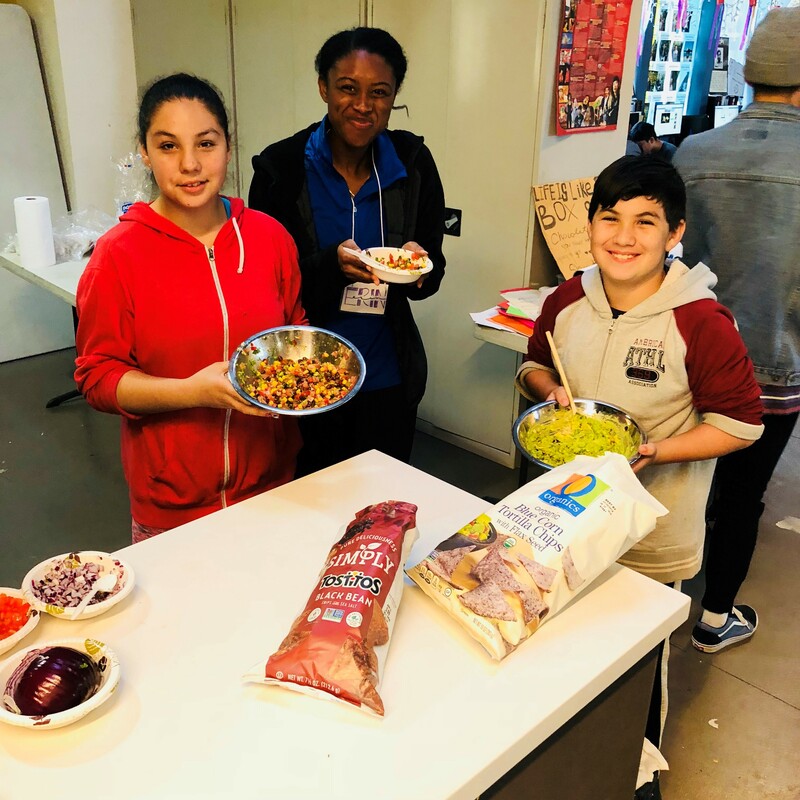 The program culminates with a Family Fiesta, in which students plan and cook a full meal for their families, to demonstrate what they learned and celebrate their successful completion of the program. Interested in sharing your cooking skills? Become a trained community leader for this weekly, 7-week program. 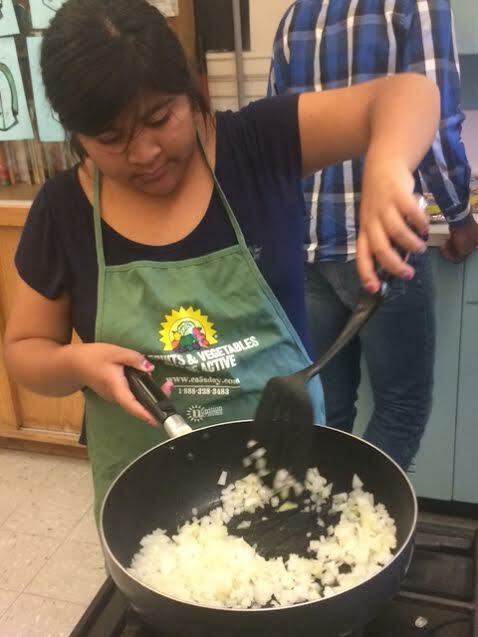 For more information about this program, please contact Community Programs Manager Anne Barkett.